for $1,999,000 with 4 bedrooms and 1 full bath, 1 half bath. This 5,945 square foot home was built in 2003 on a lot size of .74. 1101 Landfall Way is a recently renovated Class- A property located on beautiful Seabrook Island. 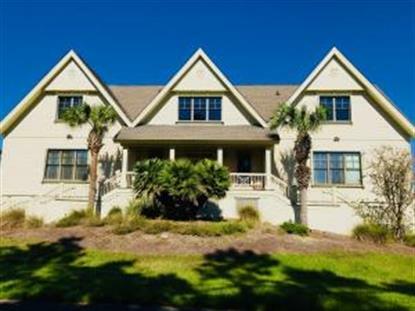 With all leases on the first floor ending within a calendar year, this property presents itself as an ideal live work opportunity.1101 Landfall Way sits on .74 acres and overlooks panoramic marsh views of Bohicket Creek. The property has 24 total parking places including 4 covered spots, 1 handicapped spot and a larger spot for an RV complete with electrical hook-ups. (Parking ratio of 4 spaces per 1, 000 SF.) The property shall be sold furnished with high- end, nearly new office equipment. All windows have hurricane shutters. The property also possesses an elevator with both hydraulic and electrical components. Survey and flood certificate available upon request.